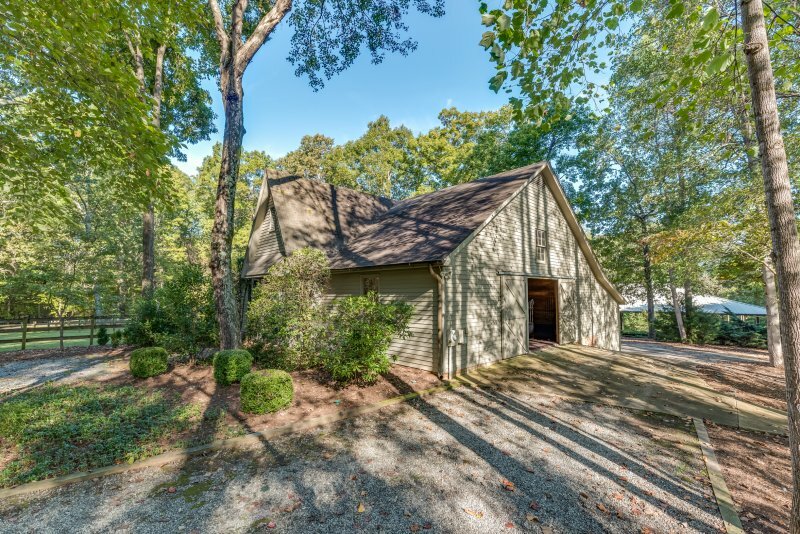 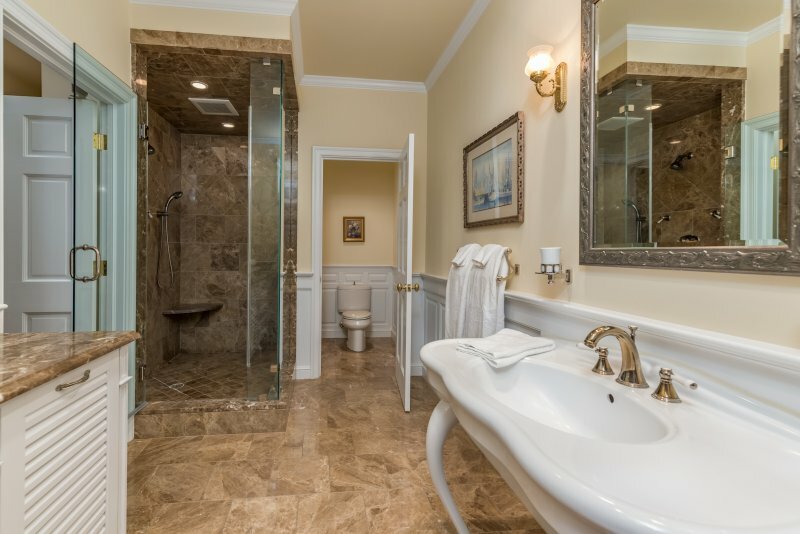 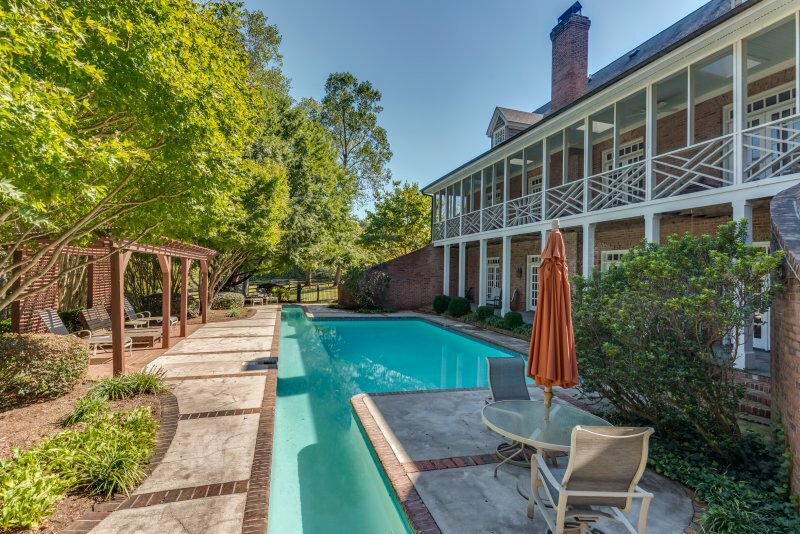 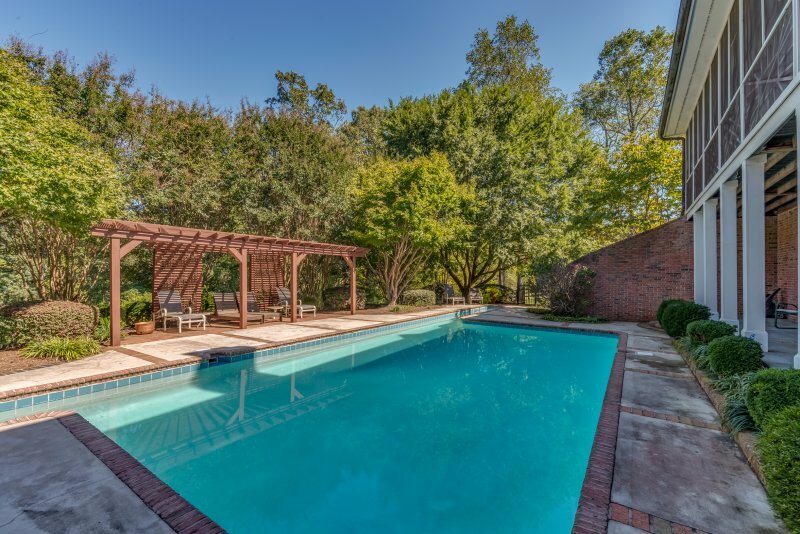 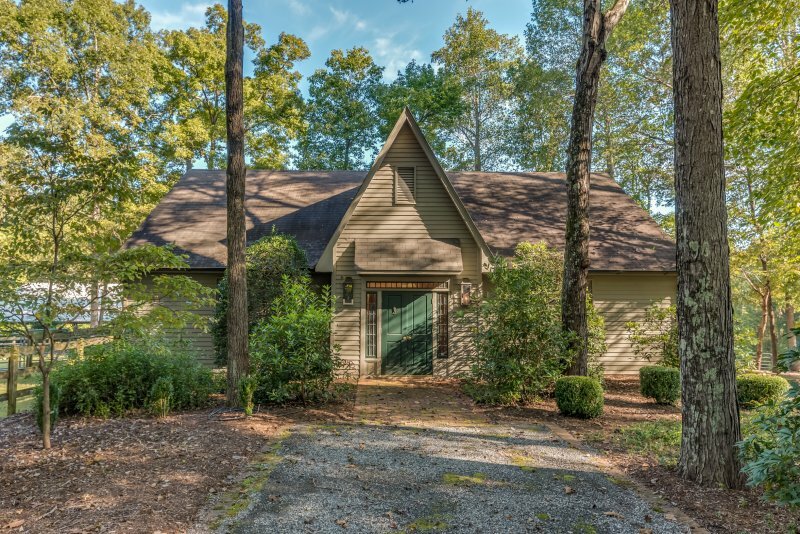 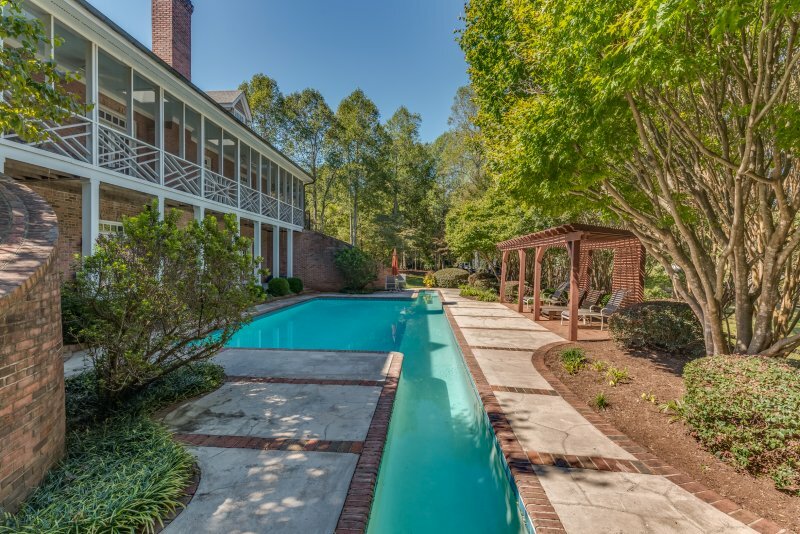 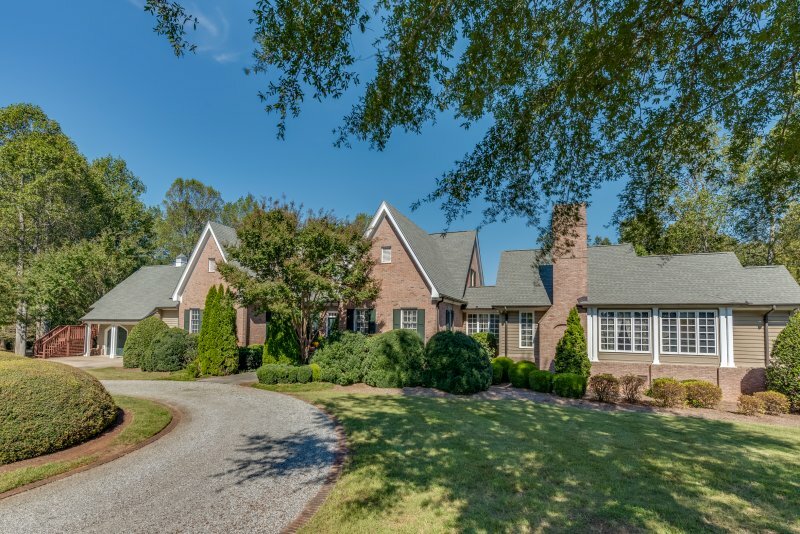 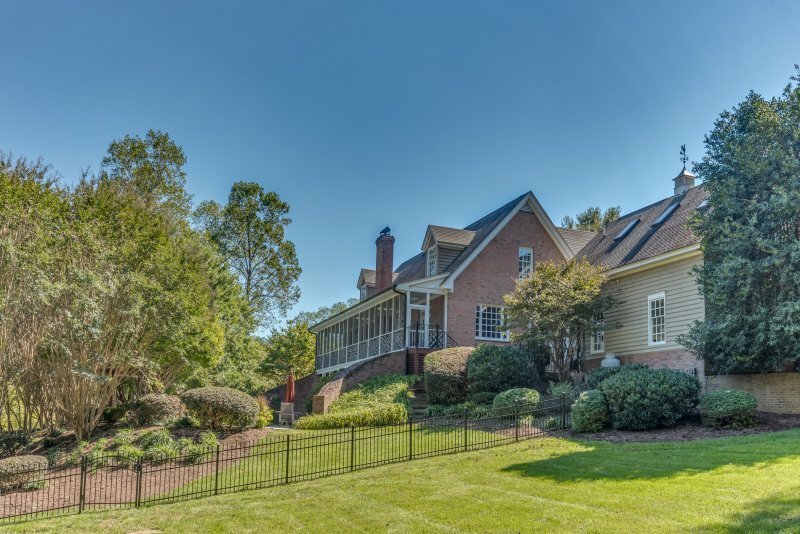 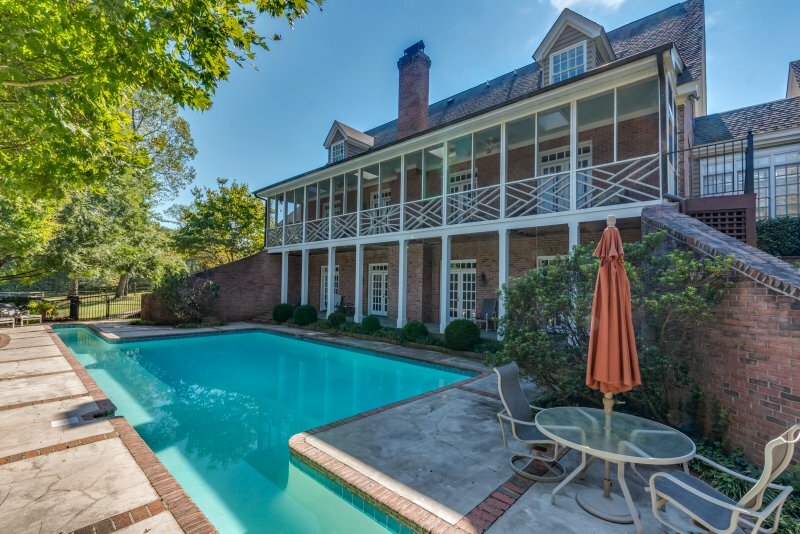 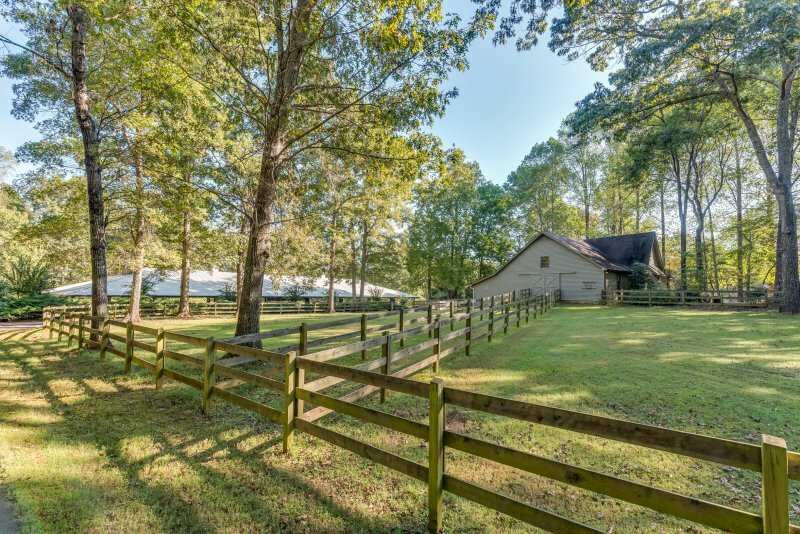 Think Gracious Equestrian Estate – REDUCED 250K!! 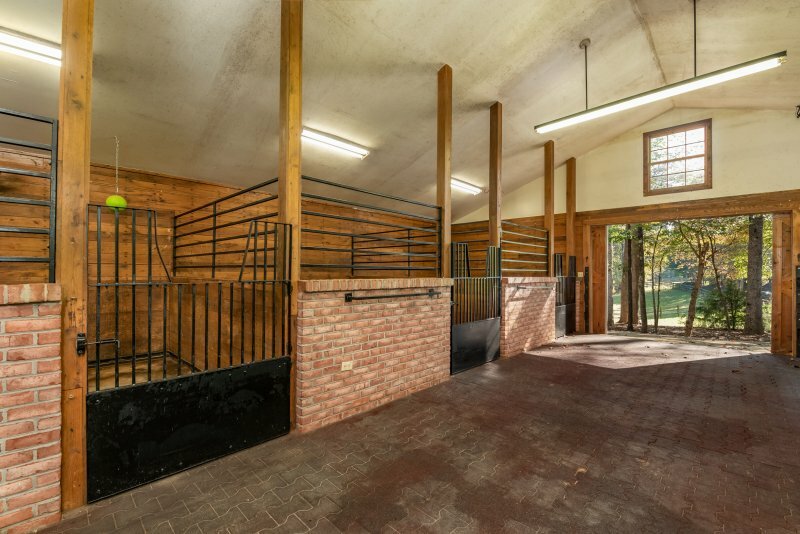 This extraordinary 18.9-acre, Caroland Farms equestrian estate features a park-like setting, a spacious 4-bedroom, 5.5-bath brick Tidewater style home with elegant, main level master suite w/dual bathrooms, wide-plank heart pine floors, updated kitchen with marble counters and stainless appliances, upstairs guest bedrooms with a Jack/Jill bath, lower level guest bedroom with en-suite bath, media room and large family room with access to the pool with lap lane and pergola. 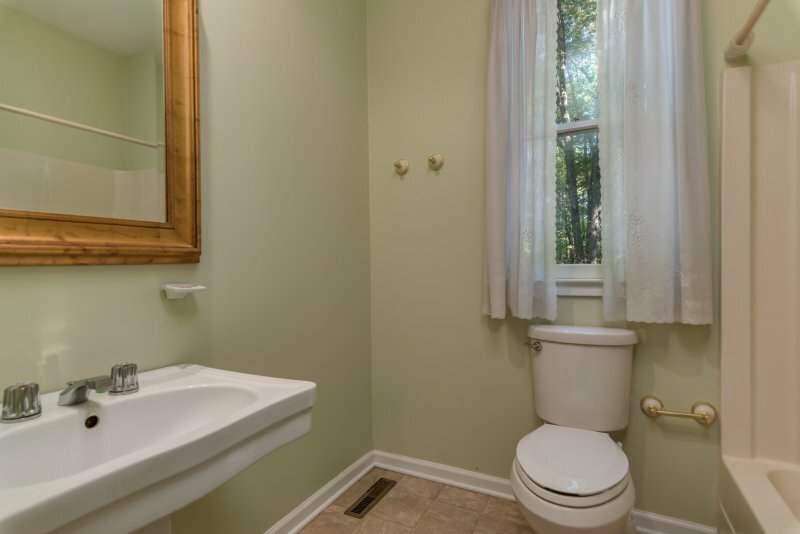 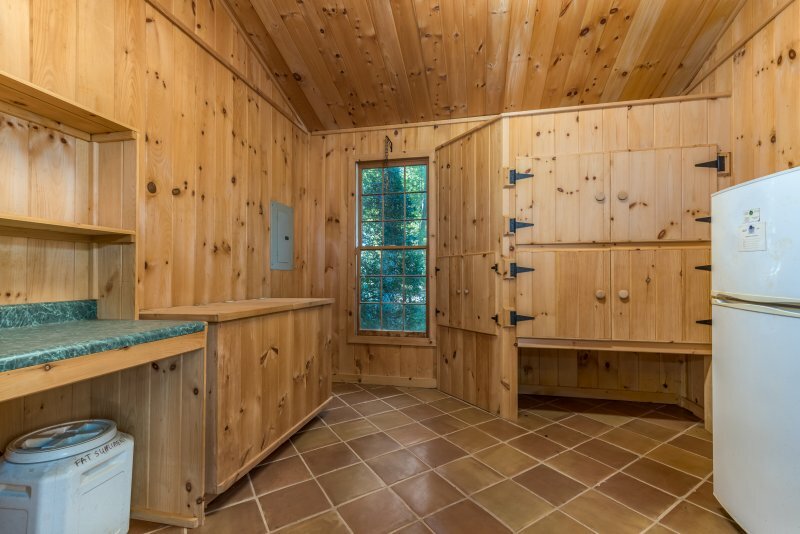 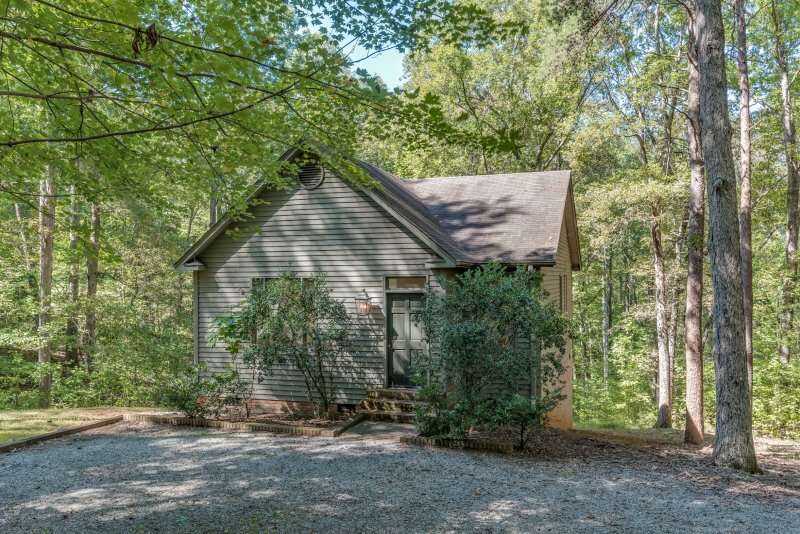 A 2-bedroom, 1 bath guest cottage with a separate drive is nestled in the woods. 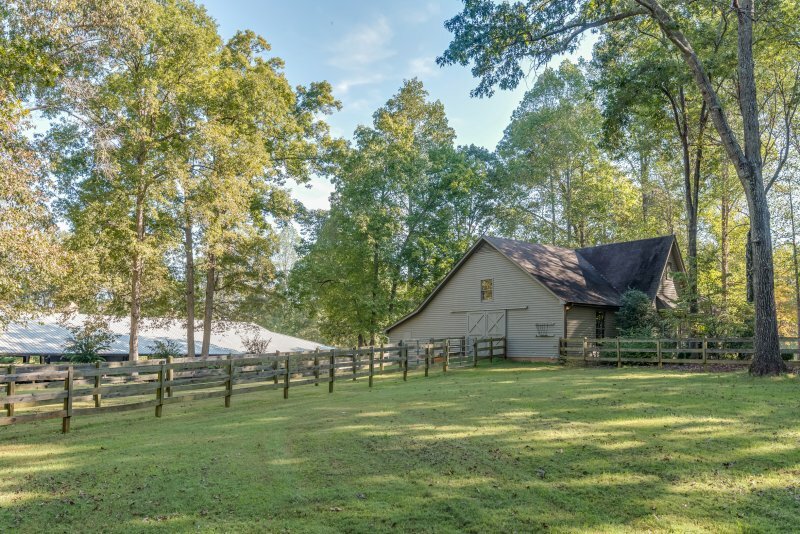 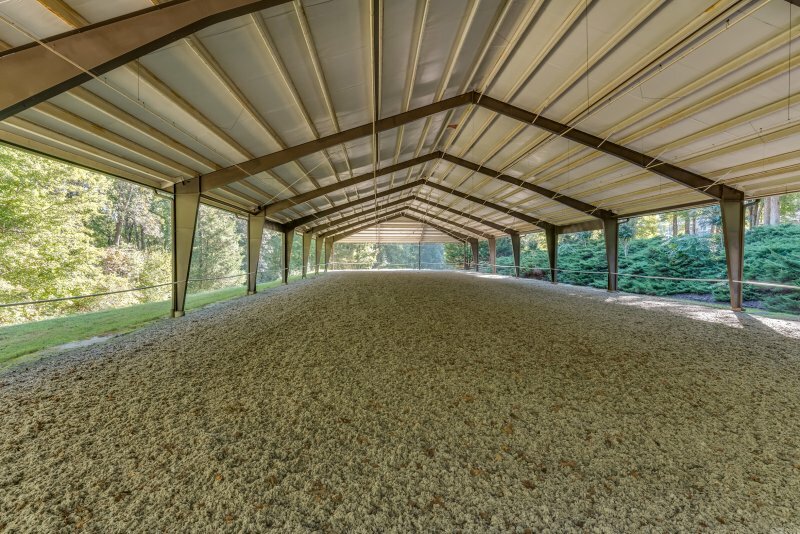 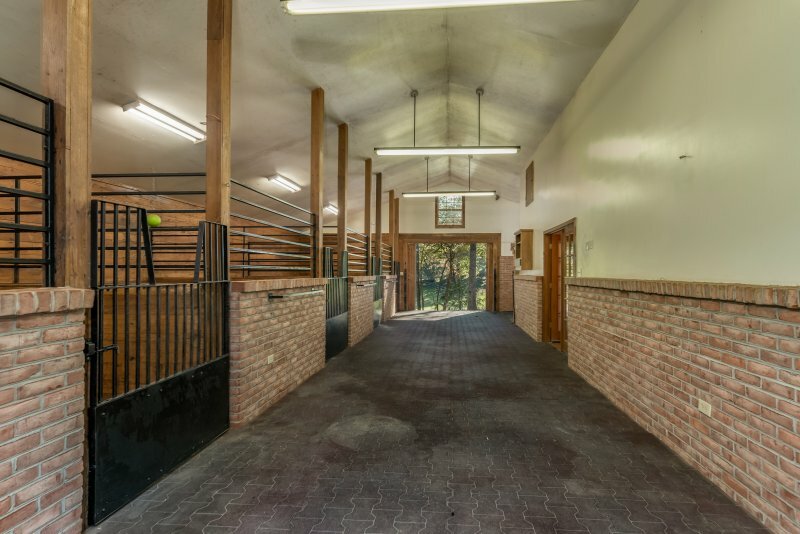 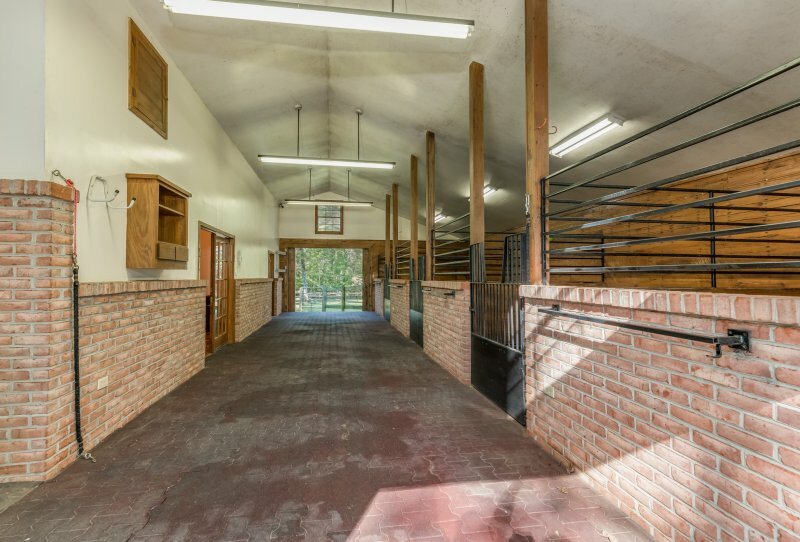 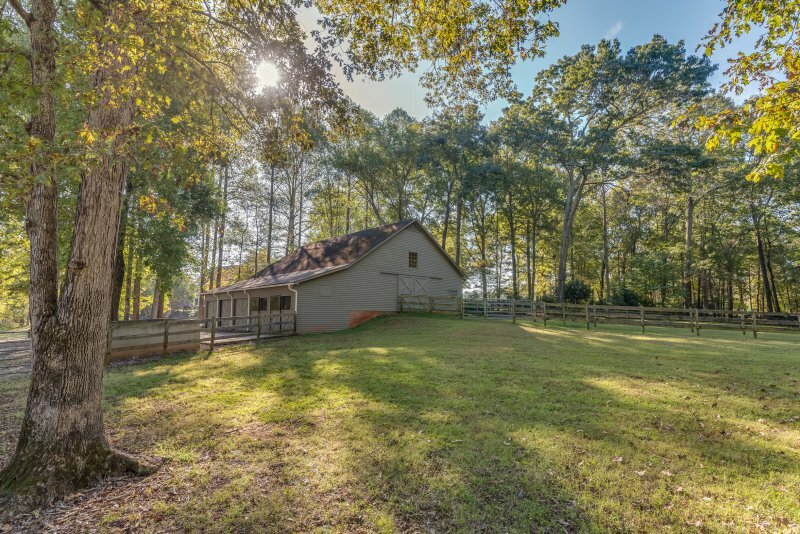 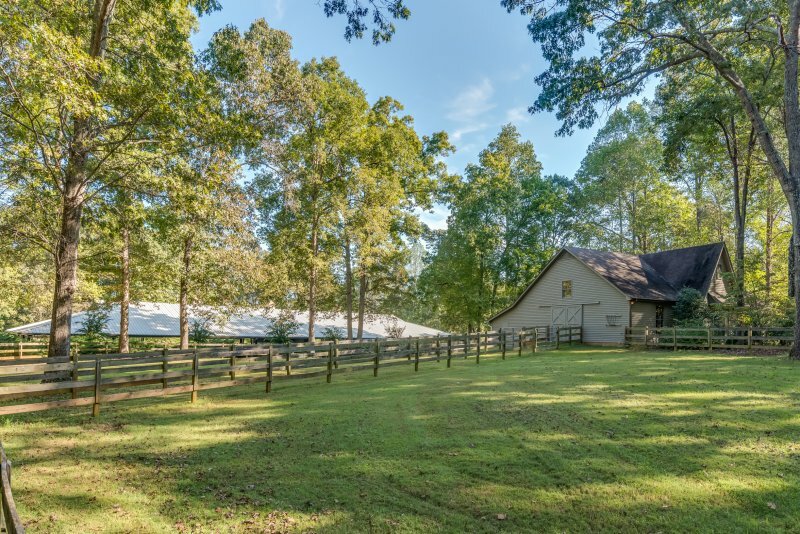 The equestrian facilities include a custom barn; 20 X 60-meter covered arena with prime footing and state-of-the-art misting system; board fenced paddocks and pastures; and access to private North Pacolet Association riding trails. 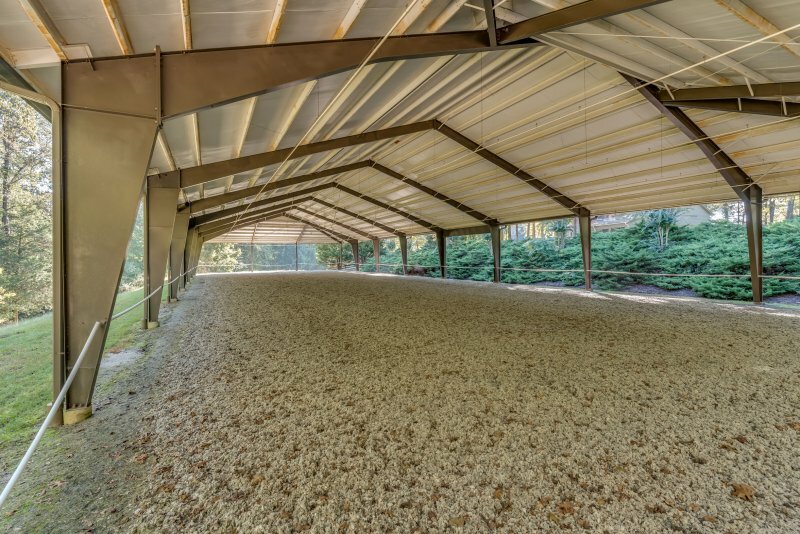 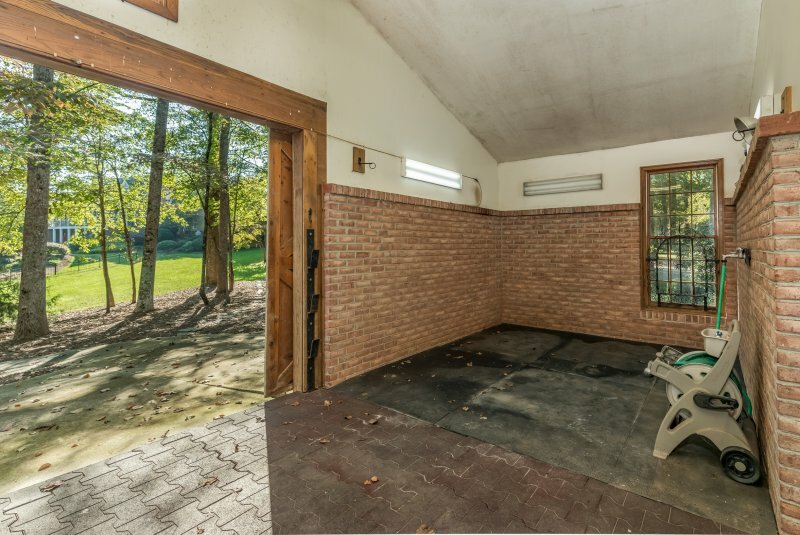 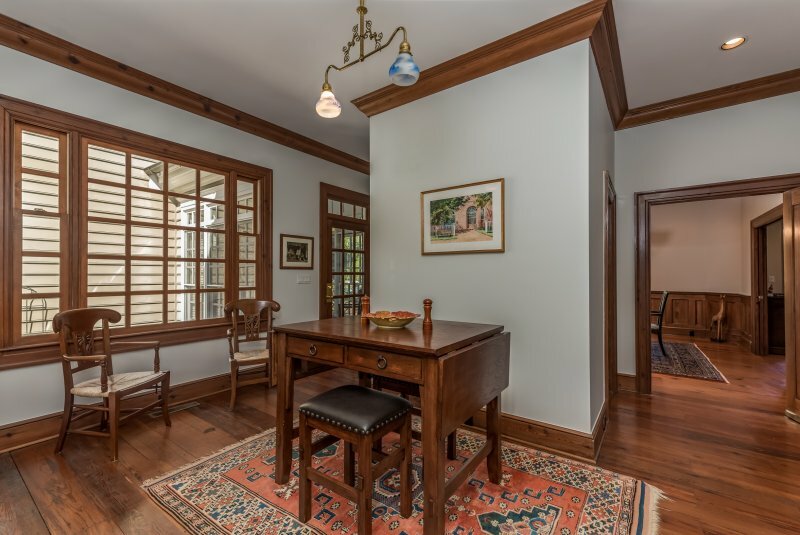 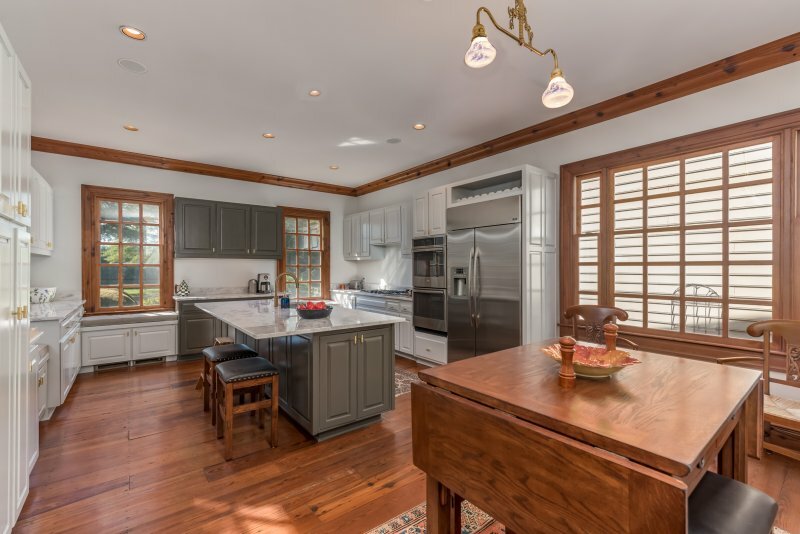 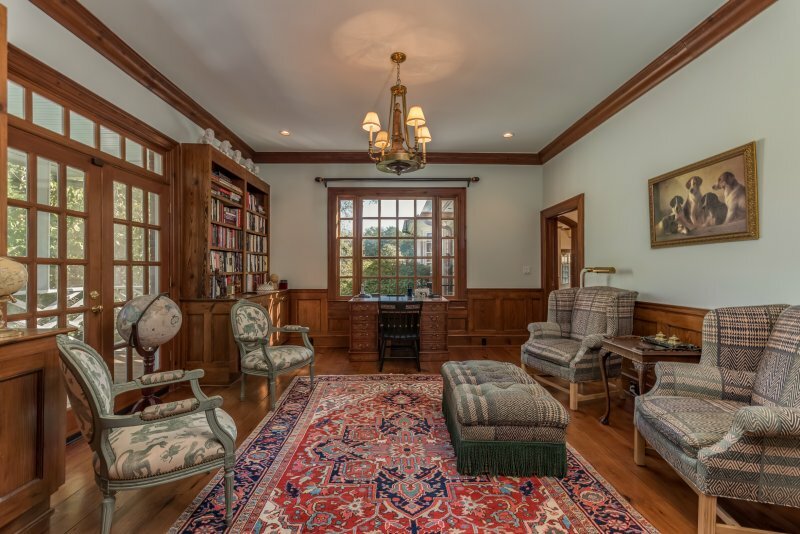 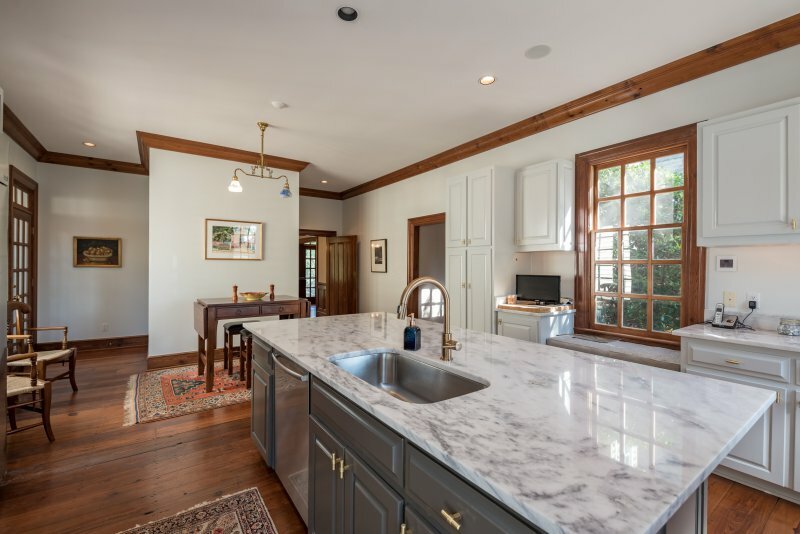 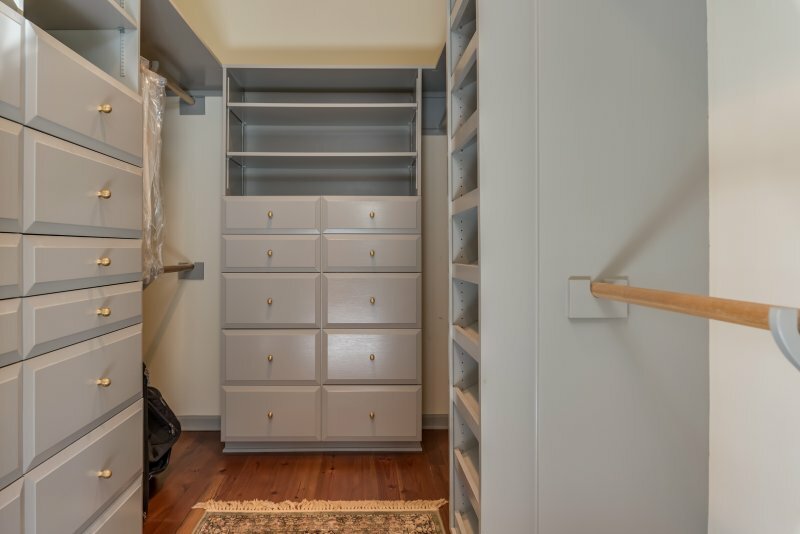 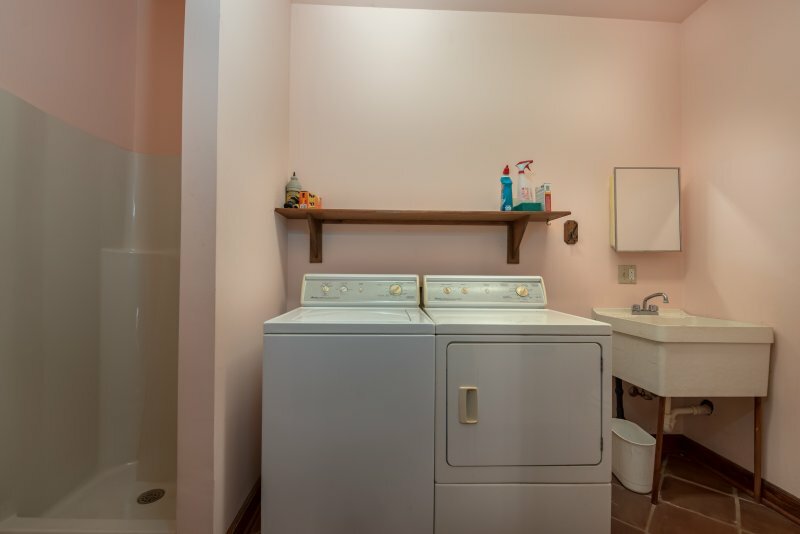 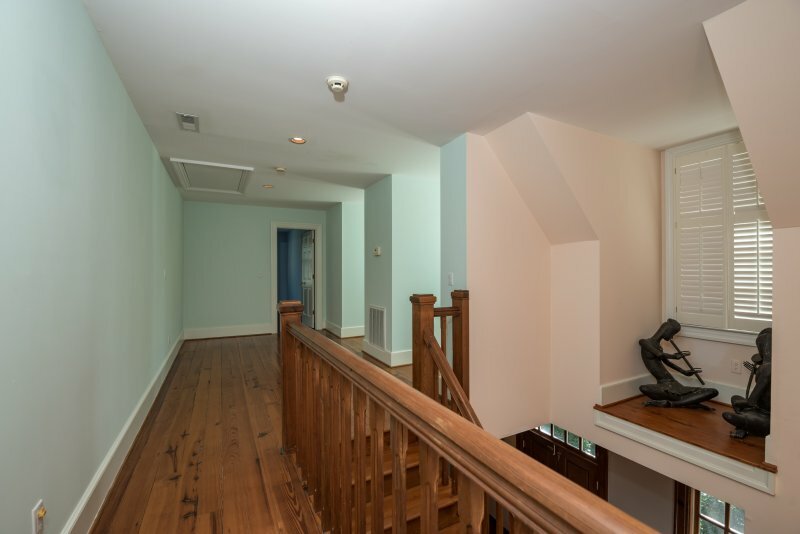 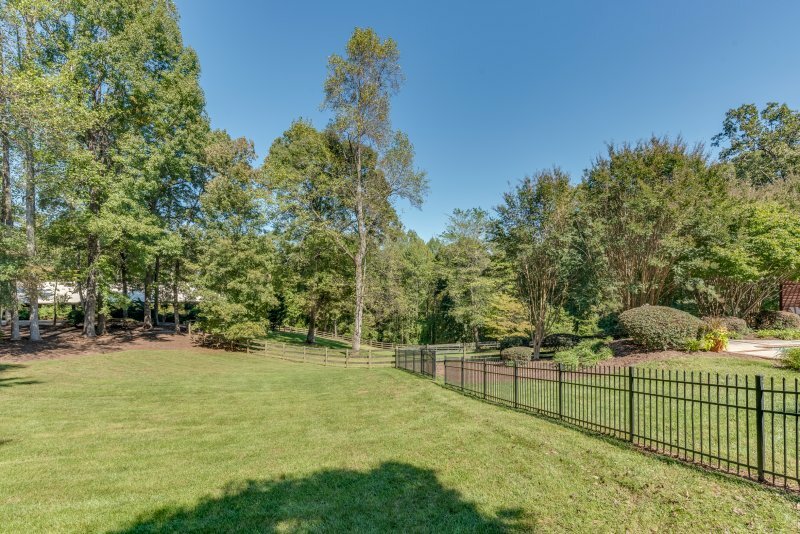 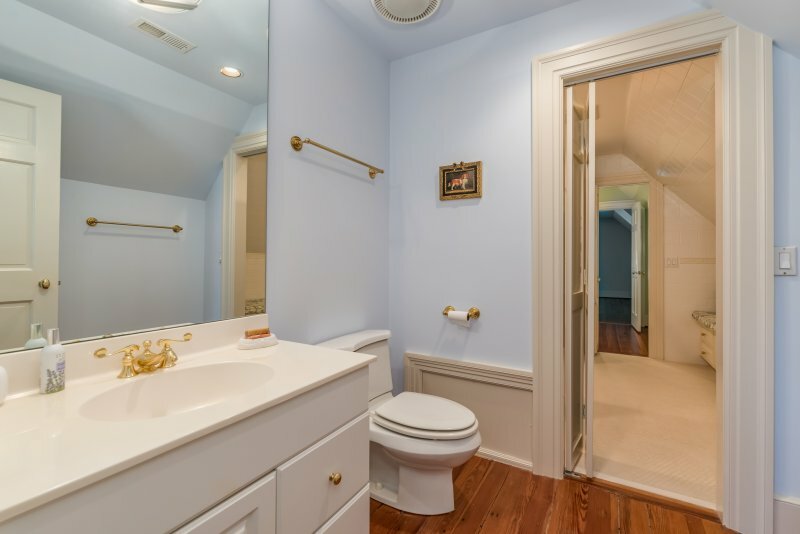 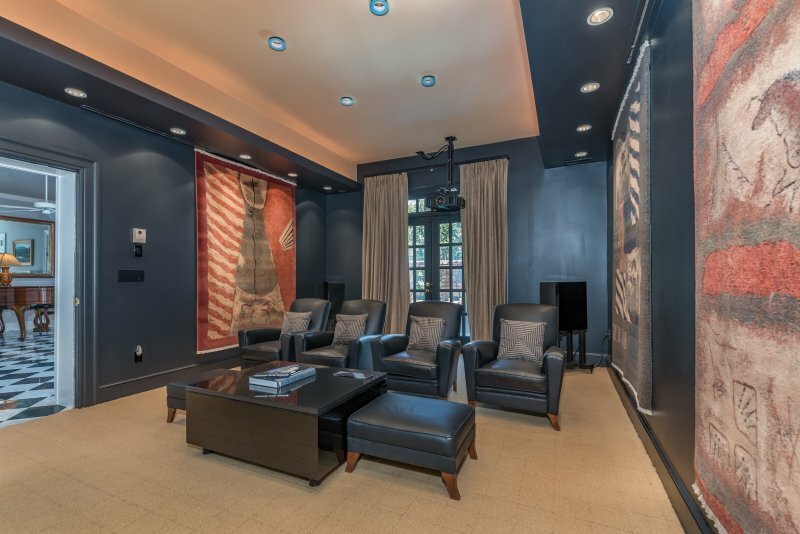 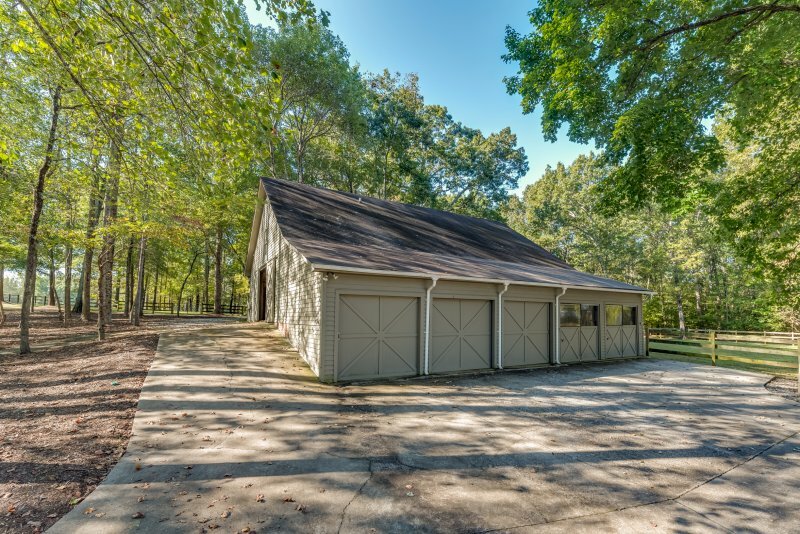 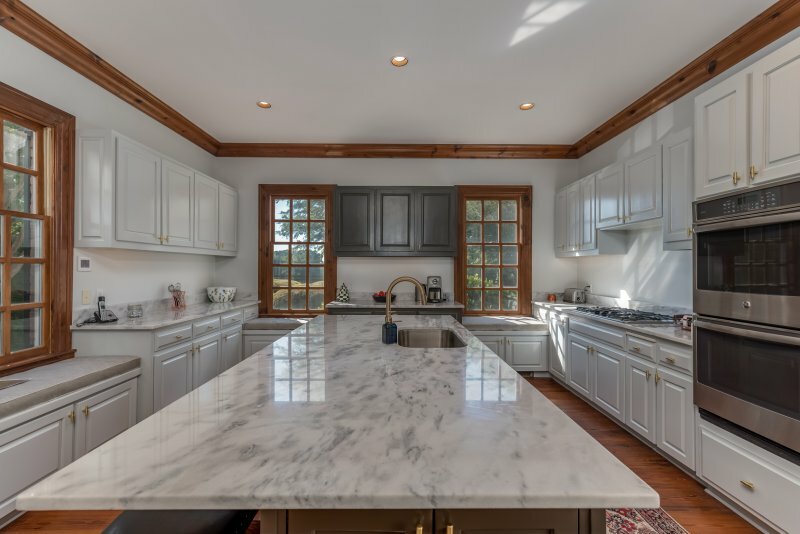 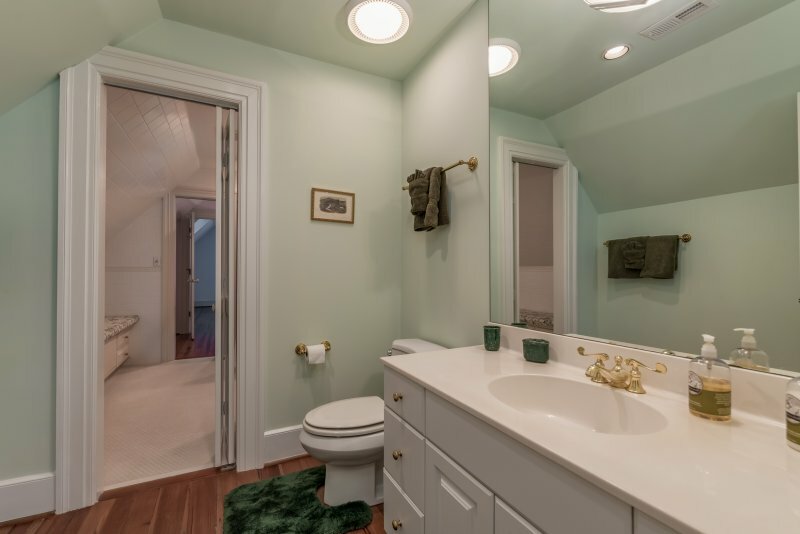 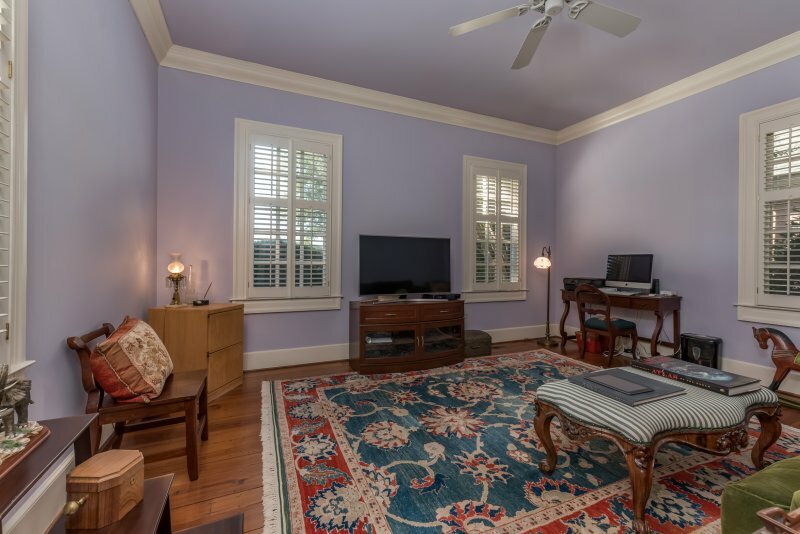 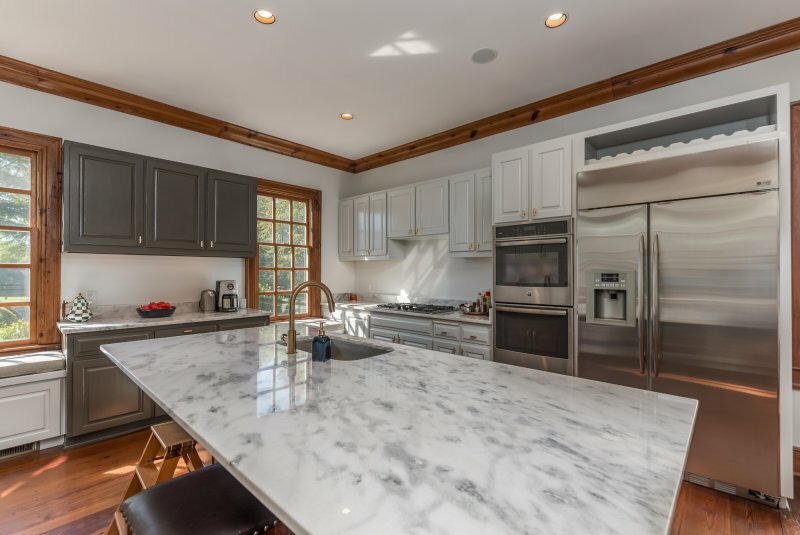 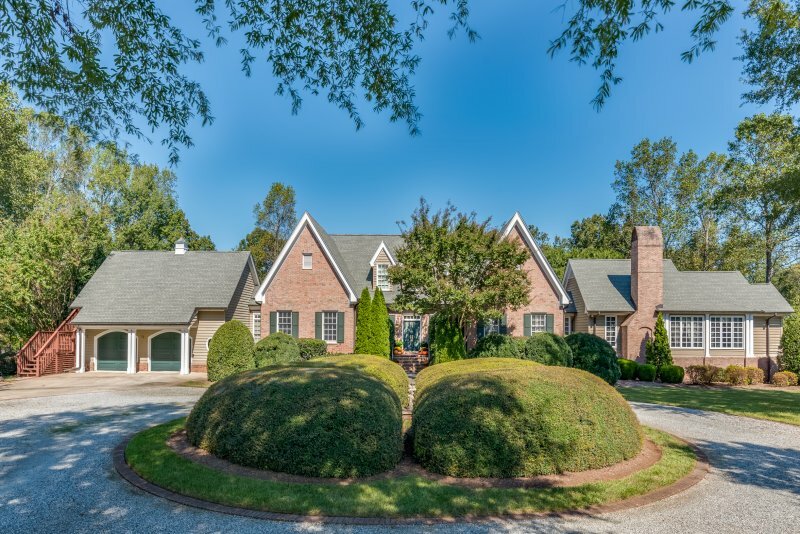 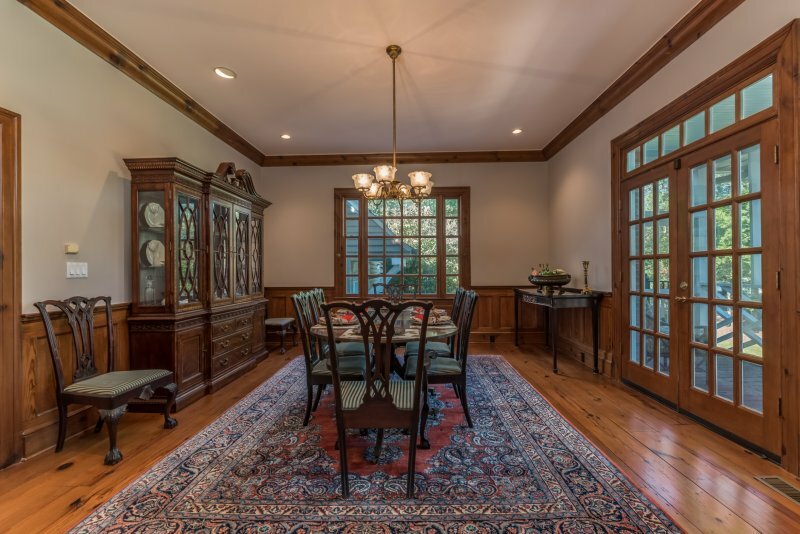 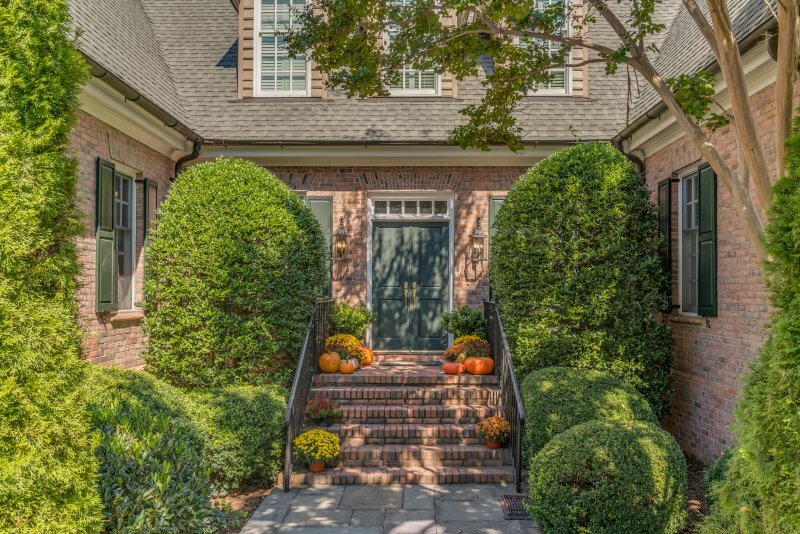 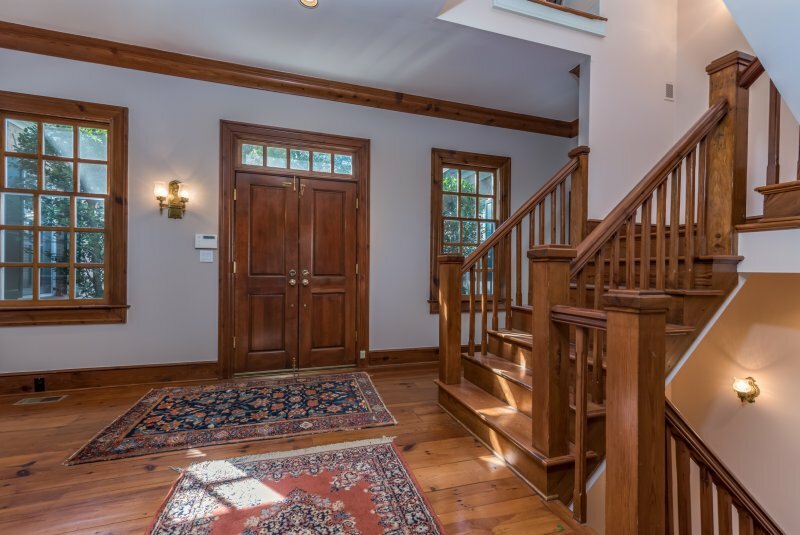 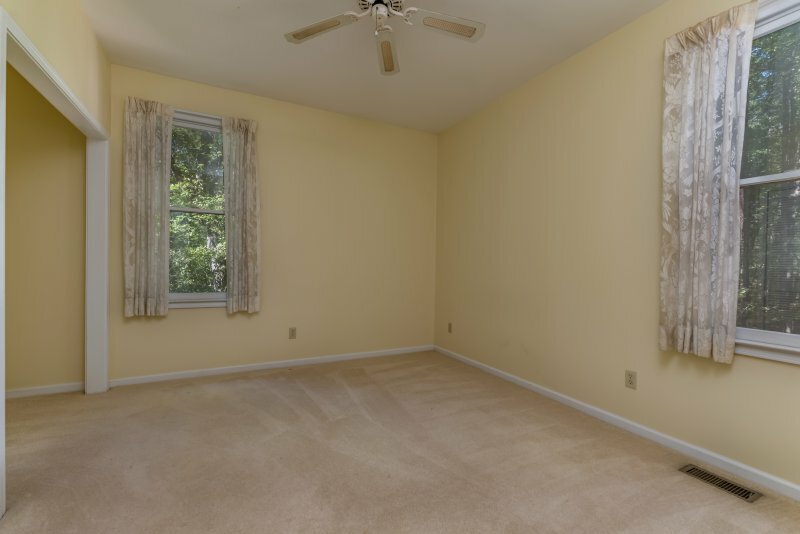 Excellent location provides convenience to shopping, amenities and 10 minutes from Tryon International Equestrian Center. 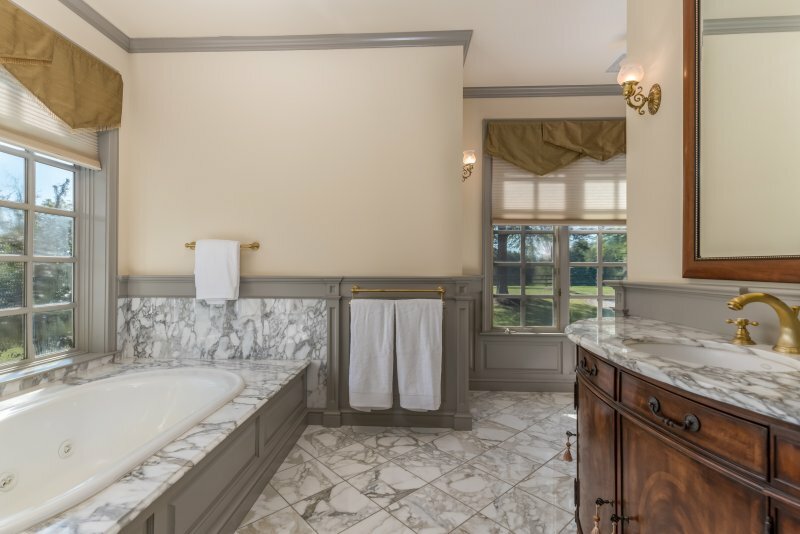 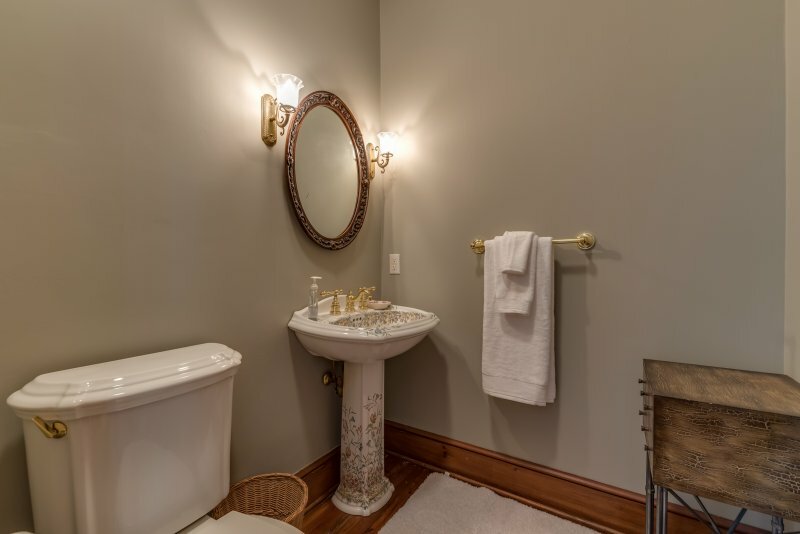 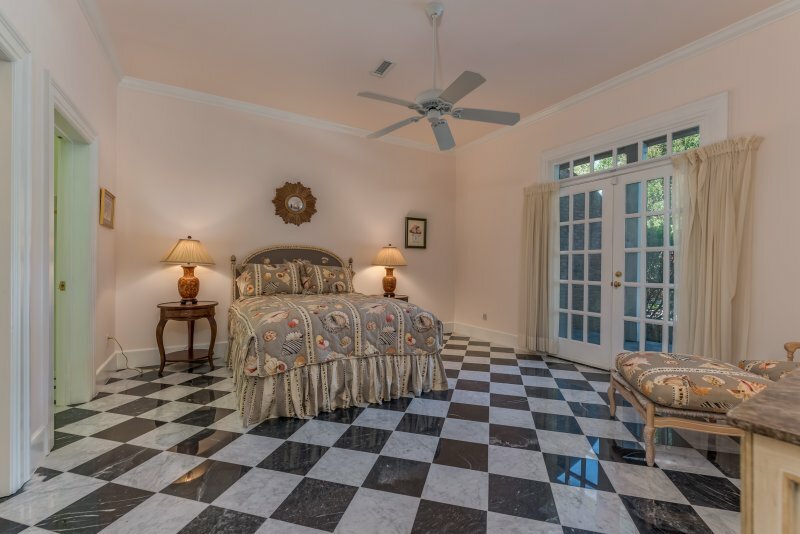 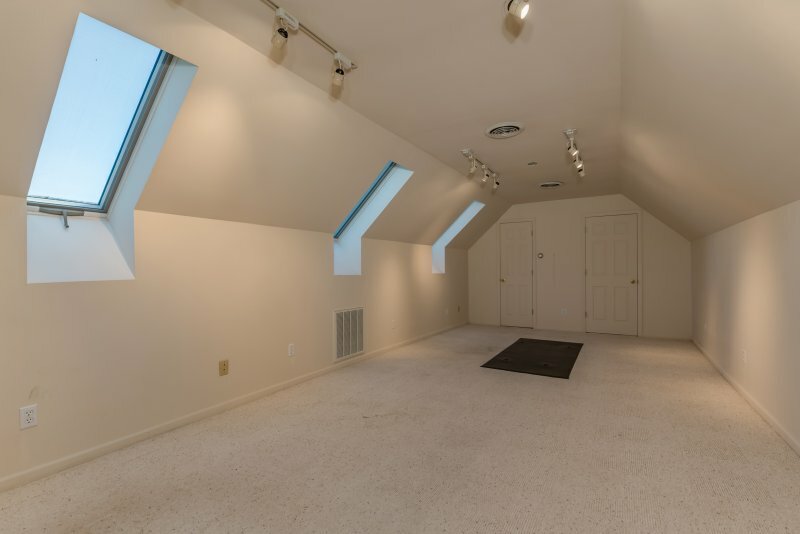 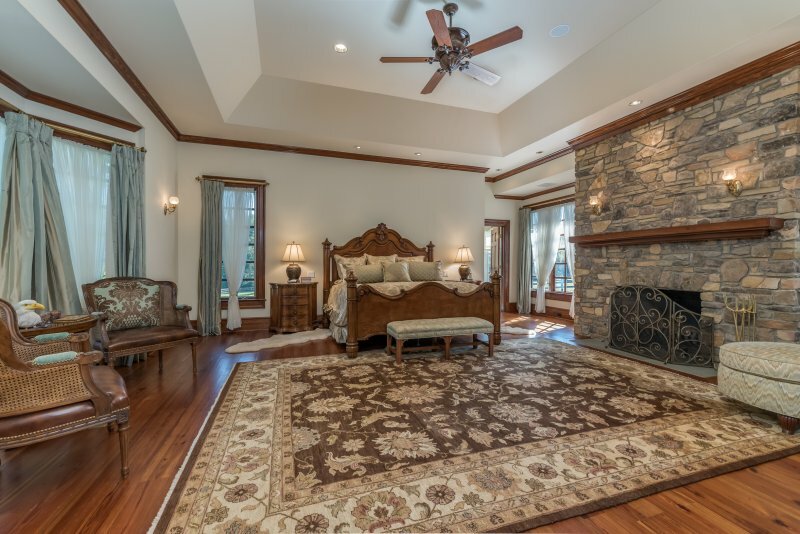 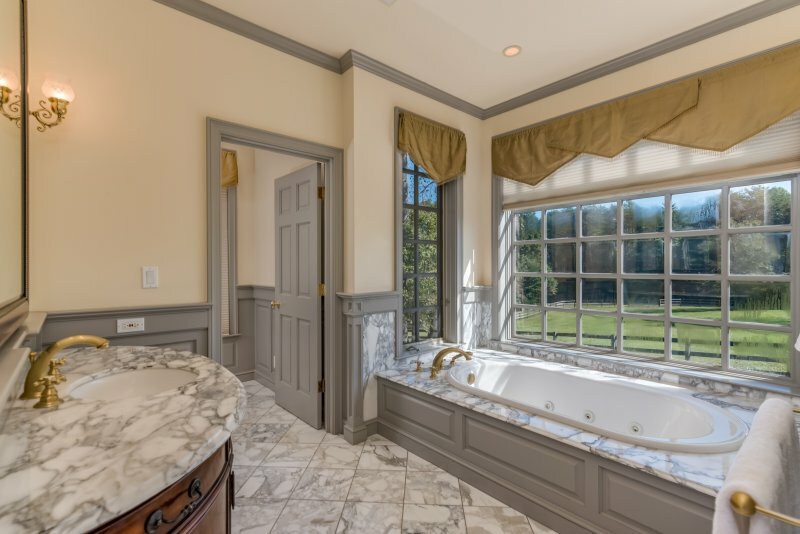 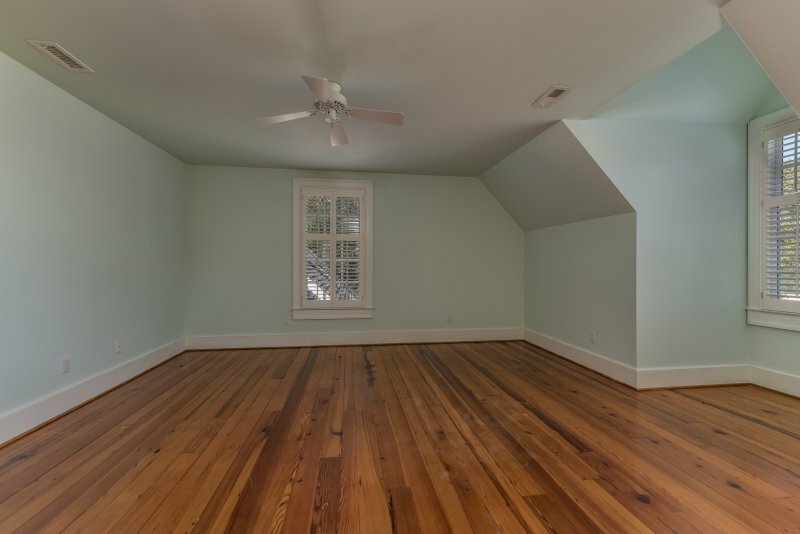 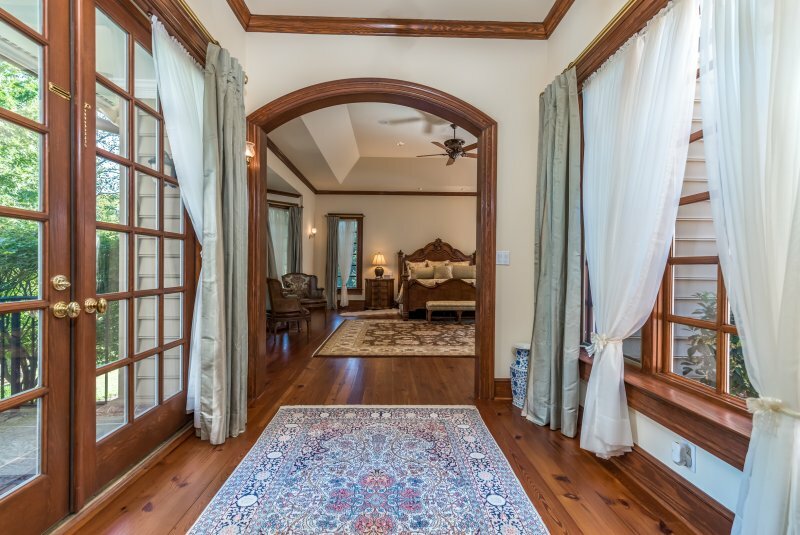 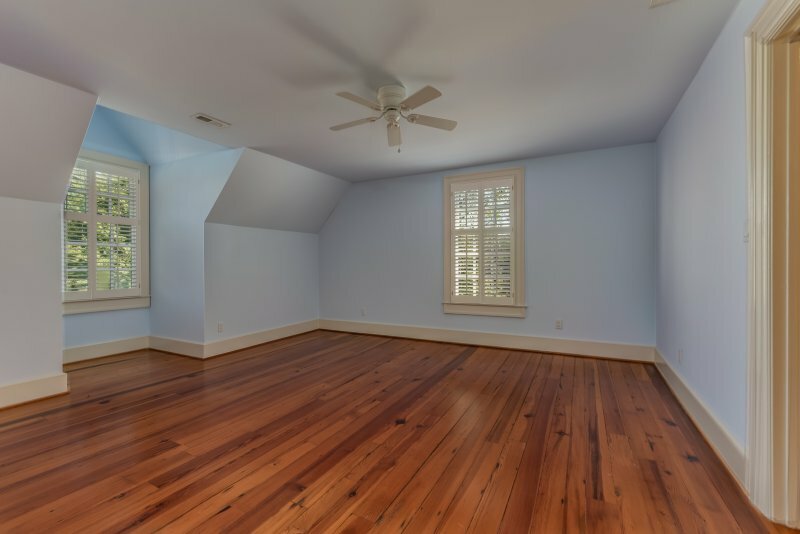 Master Suite – The master suite features a foyer, an elegant bedroom with a fireplace, 2 full bathrooms, a sitting room, and a laundry closet. 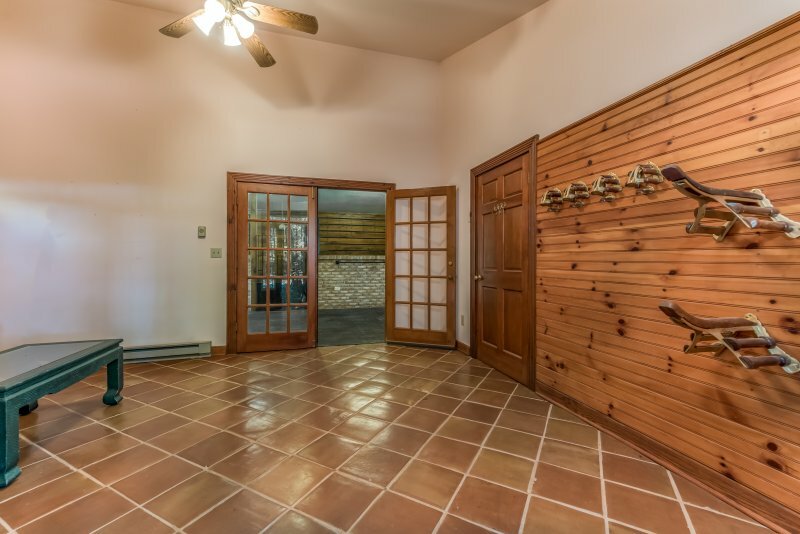 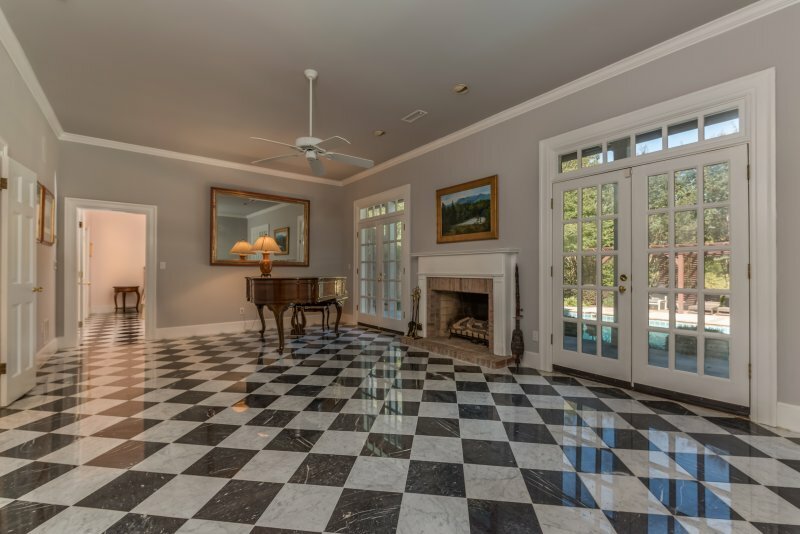 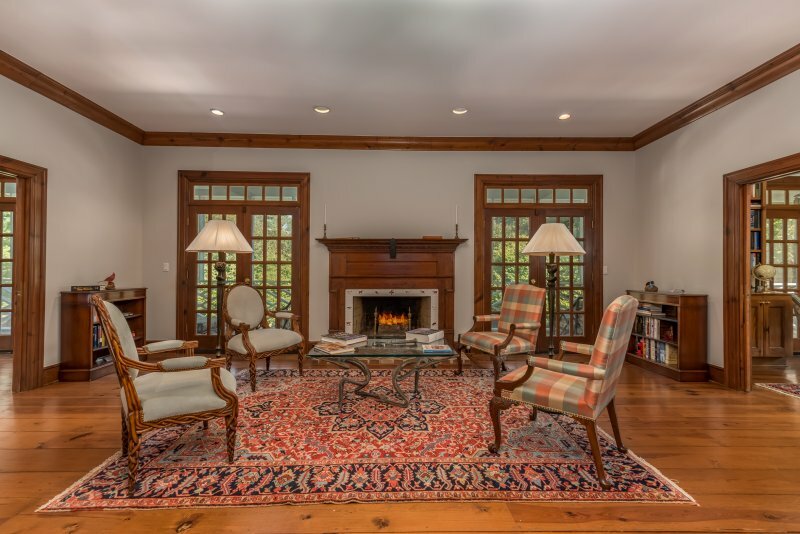 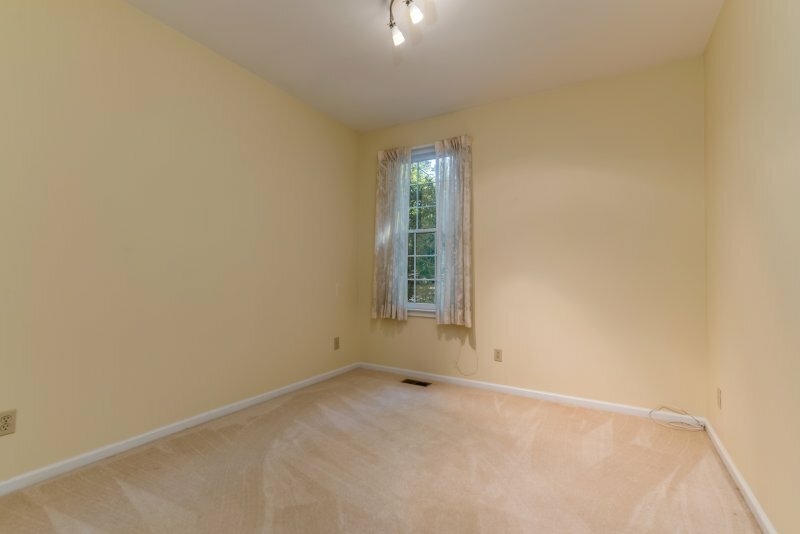 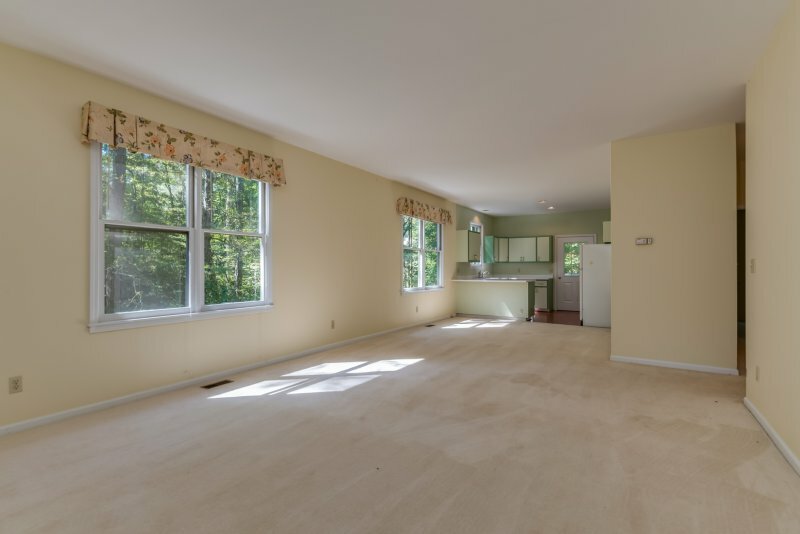 Family room – Marble floor and gas log fireplace. 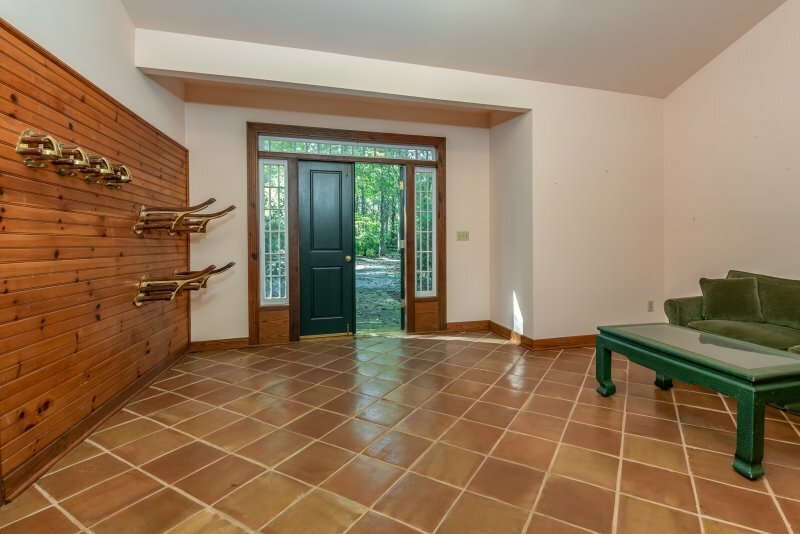 Access to the pool level.